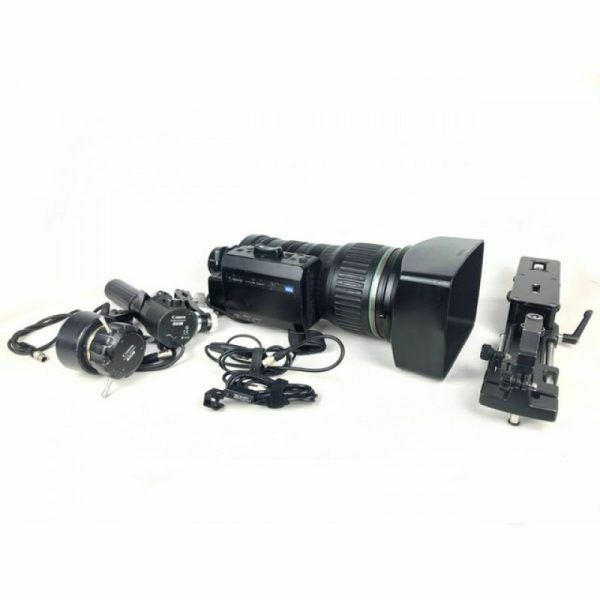 Canon HJ40x10BIASD-V 2/3″ EFP Telephoto Lens with Full Servo Kit and Case USED in Like New condition. 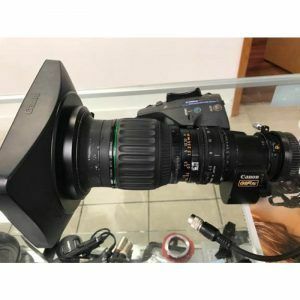 The Canon HJ40X10B 2/3″ EFP Telephoto Lens with Full Servo Kit is a telephoto lens that is intended for producers and broadcasters engaged in documentary, natural history, and many other challenging location productions that seek high definition image capture over very considerable distances. 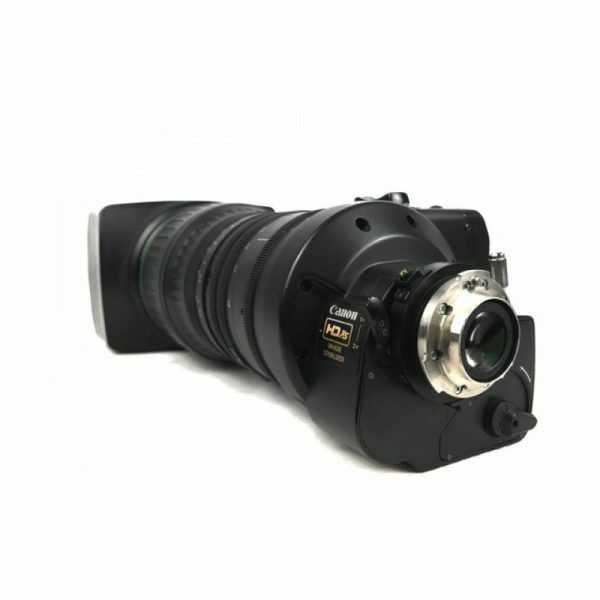 The HJ40X10B offers an extremely long focal length of up to 800mm with the extender that gives you the ability to shoot from very far distances. And with the Optical Image Stabilization feature, you can capture crisp and clear images at very long distances without concern for an unsteady image. 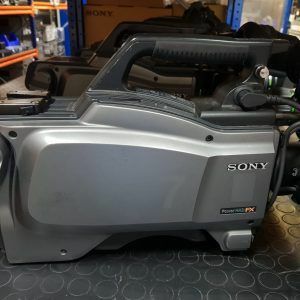 The HJ40X10B offers creative flexibility and mobility in a handheld HDTV camera system with the demanding performance requirements for high-end HDTV image acquisition at long focal lengths. Additionally the HJ40X10B incorporates a dual lens approach to broaden the shooting options, achievement of an adequate sensitivity, maximization of image contrast, and preservation of the highest MTF over the long focal ranges. 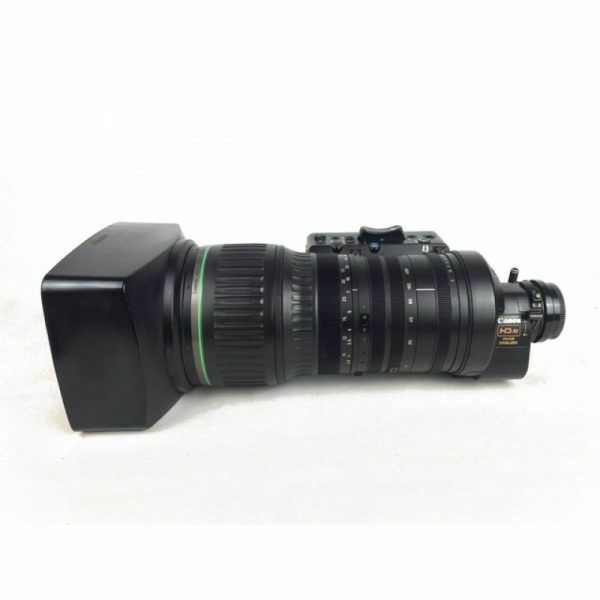 Also included with the HJ40X10B is the Canon SUP-300, a support bracket for long lenses from Canon. 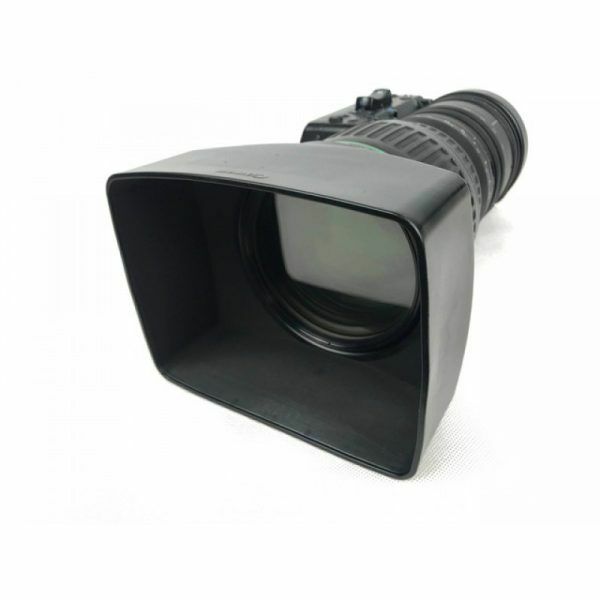 This bracket vertically supports the long lenses for stability and to suppress lens mount damage. 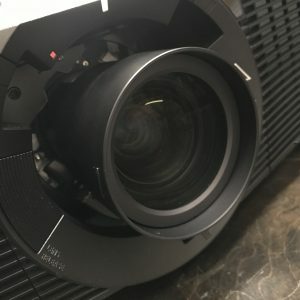 The HJ40X10B is equipped with a unique feature called the Optical Shift Image Stabilizer that helps eliminate the worry over unsteady images, which is key when shooting long distances. When the lens moves, the light rays from the subject are bent relative to the optical axis, resulting in an unsteady image because the light rays are deflected. By shifting the IS lens group on a plane perpendicular to the optical axis to counter the degree of image shake, the light rays reaching the image plane can be steadied. Since image shake occurs in both horizontal and vertical directions, two shake detecting sensors for yaw and pitch, detect the angle and speed of movement and send this information to a high-speed 32-bit microcomputer, which converts the information into drive signals for the IS lens group. Then the actuator moves the IS lens group horizontally and vertically thus counteracting the image shake and maintaining the stable picture. The HJ40X10B also comes packaged with its own servo kit. 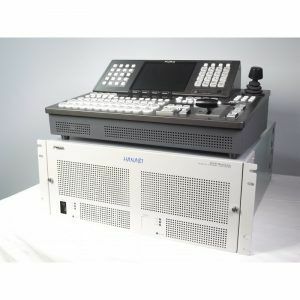 The Canon SS-41-IASD is a full-servo controller kit for Canon digital ISAD and IASE lenses. 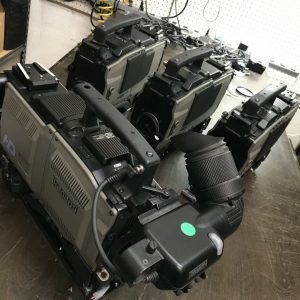 The kit includes focus controller, digital servo zoom demand, and cables. 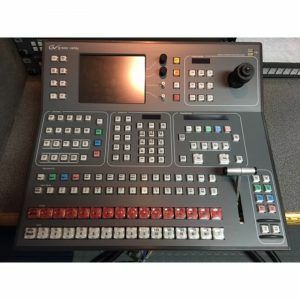 The system provides full servo zoom control and is useful in a variety of professional broadcast applications, including live event coverage and sports. 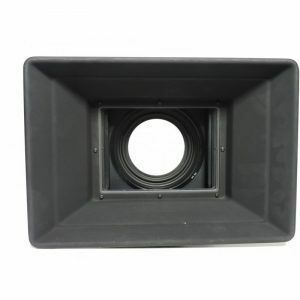 The HJ40X10B also assists in shooting with its Framing Preset feature. An angle of view can be preset in either of two memories and the lens will zoom to that position by pushing a simple button. During a performance, framing preset will reproduce the zoom position decided upon at the rehearsal. 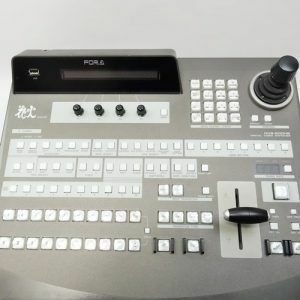 It’s easy to repeat the same zoom as often as you like at the highest speed or in a preset zoom speed. The lens element design greatly reduces aberrations and image distortions.  These advances contribute to more balanced imaging from center to edge throughout the aperture range. These advances include an artificial element, “Fluorite”, with extraordinary dispersion characteristics and the newly developed “Hi-UD” (high index ultra low dispersion) glass. 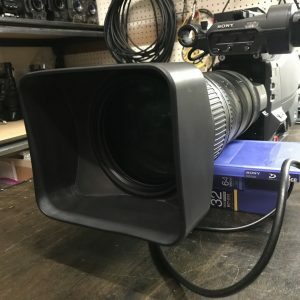 Arri MB-14 6×6 Studio Matte Box Over $6000 New buy used for Less!